Oregon State Hospital, Junction City campus. In trying to fix the state’s $1.6 billion budget shortfall, the governor has considered permanently closing the hospital next year…which would save nearly $35 million annually. 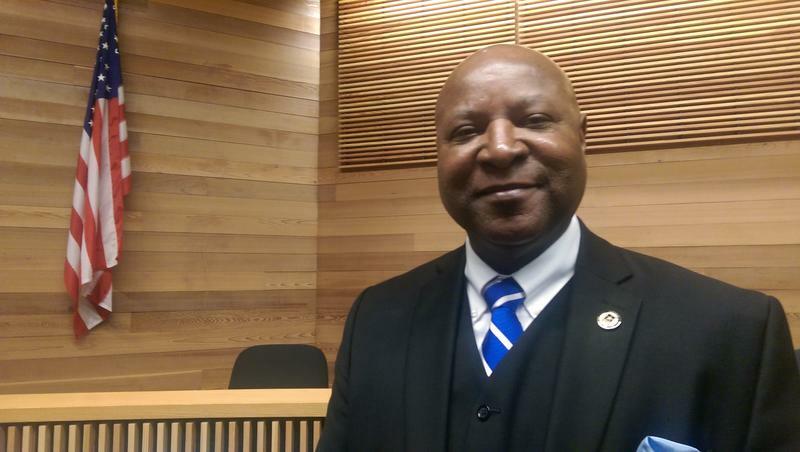 But Democratic State Senator James Manning of District 7 says he’s hoping that some additional, unused space at the facility could ease prison overcrowding. He spoke to KLCC while touring the hospital. 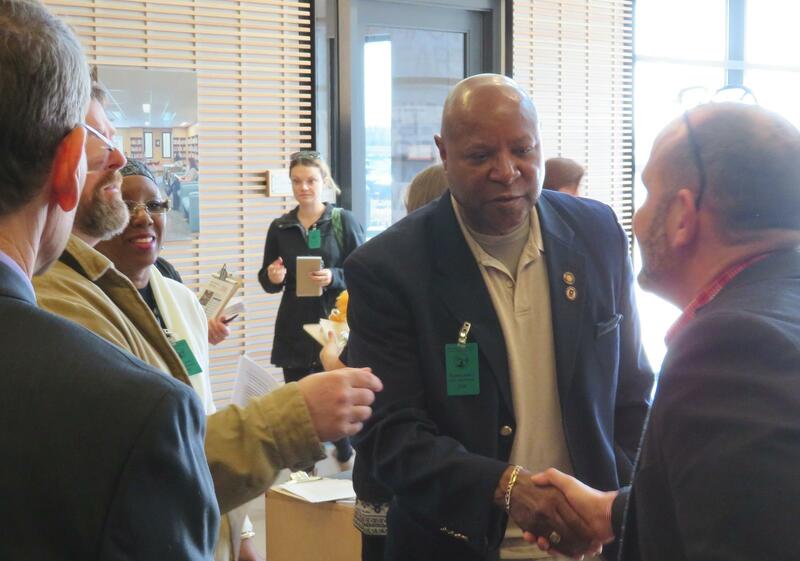 Democratic State Senator James Manning (near center) is greeted by local officials representing Junction City and the Oregon State Hospital. Manning says it’d save money, and keep 422 jobs in the immediate area. Correction: An earlier version of this story inferred that Oregon Representative Julie Fahey had co-written a letter with Manning supporting the idea of turning part of the Oregon Hospital into a space for inmates. A spokesman with Fahey's office says she signed and sent a letter with several other lawmakers including Manning, but it was to simply express support for keeping the Oregon Hospital open. 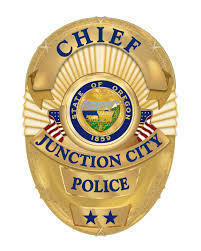 The police chief of Junction City is suing the municipality and the former City Administrator. Junction City Police Chief Mark Chase says his First Amendments rights were violated. In his complaint, he asserts he was denied due process when then-City Administrator, Melissa Bowers, discriminated against him based on his Christian faith. Portland attorney Sean Riddell represents the Police Chief.